Happy Tuesday! It is January the 5th; I am feeling a little morose that my family have all gone home, but also breathing a sigh of relief that the Christmas stress is over. All would be more or less perfect, were I not soon heading back to the torturous world of school. New year is a time for reflections, revolutions and resolves; to look back on the year that's past and think on the year to come. 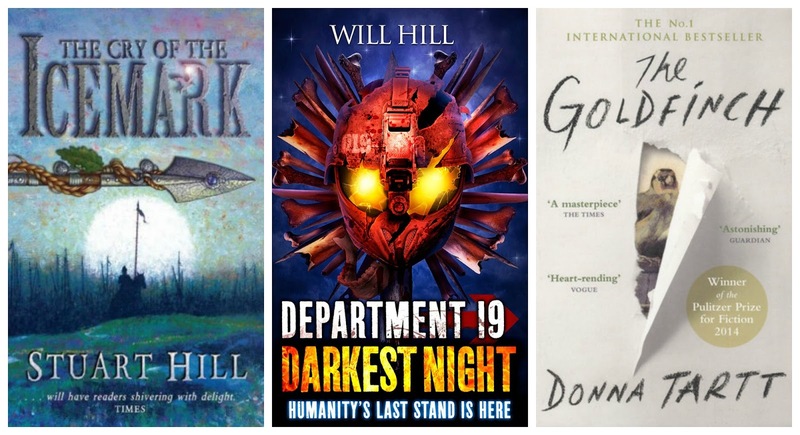 Today I'm thinking about 2015 in very important terms: in terms of the books I read. 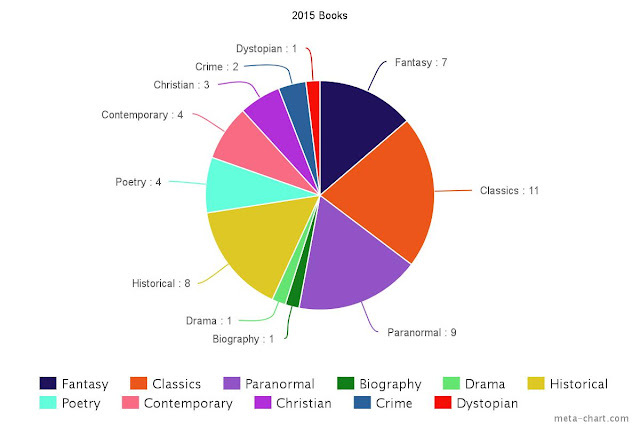 I'm linking up with The Perpetual Page-Turner's Annual End-of-Year Survey, to consider what I read in 2015! 9 or 10 (I know, right? A lot.) 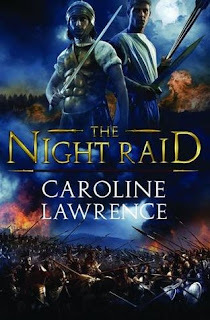 That is: Roman Mysteries books 1-5 by Caroline Lawrence (BEST! SERIES! EVER! ); The Cry of the Icemark by Stuart Hill (OTHER! BEST! SERIES! EVER! I just -- like, an hour ago -- finished rereading book #2, Blade of Fire, and asdfadsflkag it's perfect); Percy Jackson 1-4 by Rick Riordan (ALSO! BEST! SERIES! EVER!) I say 9 or 10, because I can't for the life of me remember whether I read The Battle of the Labyrinth or not when I was younger. I definitely read the first three ... ? As you see, I read the most classics, although if we combined High Fantasy and Paranormal/Urban fantasy into one big Fantasy section, it would win at 16. I am surprised to see 8 in Historical Fiction, because with some exceptions, I don't really like Historical Fiction. I have already talked this book to death. Suffice to say, I couldn't possibly love it any more. To discover the reasons that the book is absolutely perfect, read my review here. As I mentioned, I have a gargantuan love for Lawrence's Roman Mysteries (really and truly, one of my top five favourite series EVER), and as such I was so excited to read this book. It was tiny and ... rubbish. So saddening. 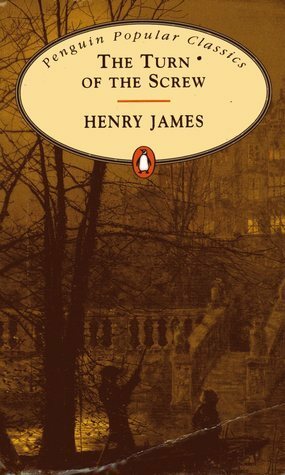 I was also disappointed by The Count of Monte Cristo (Alexandre Dumas); The King's General (Daphne du Maurier); The Mayor of Casterbridge (Thomas Hardy); A Room with a View (EM Forster); When We Were Orphans (Kazuo Ishiguro). 2015 definitely finished better than it started. 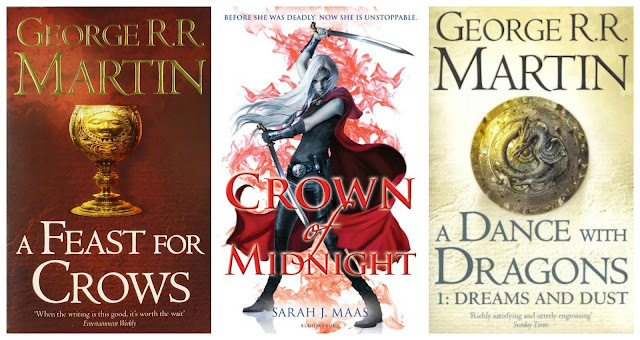 I read Throne of Glass in April, and enjoyed it, but it wasn't as good as I was expecting. (I liked it, I really did, but I didn't think it lived up the hype.) 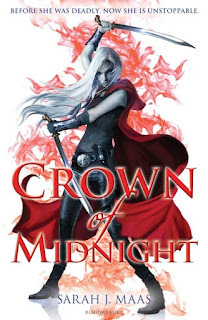 So I was pleasantly surprised by Crown of Midnight, which I thought was really and truly excellent. I loved it! I'm so excited for Heir of Fire! I didn't have particularly high expectations for this, because it's a Victorian ghost story and I tend to take a dim view of Victorian ghost stories (I just can't be bothered with horror, most of the time). But it's a classic, and I've never read a classic without some merit. This book was a bad surprise because it was, frankly, pants. Annoyingly written, with an infuriating narrator and heaps of commas, it was a convoluted ghost story that was not at all scary, merely irritating. I had to force myself to finish it, and when I did, the ending? It made no sense. Almost nothing happened in the book. Thank goodness it was only short! I have lost my faith in the reading public. Why is this book still in print? 4. Book you pushed the most people to read? I managed to get one friend on the Department 19 bandwagon (good job, Joanna), and I have given The Goldfinch to two people for Christmas. I am planning to slowly inflitrate all my friends, family and acquaintances, before moving onto strangers in the street. 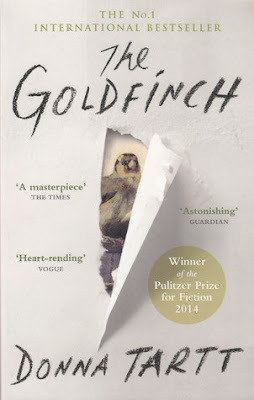 Then The Goldfinch will be mandatory reading for all ... and Donna Tartt will be our queen. 5. Best series you started in 2015? 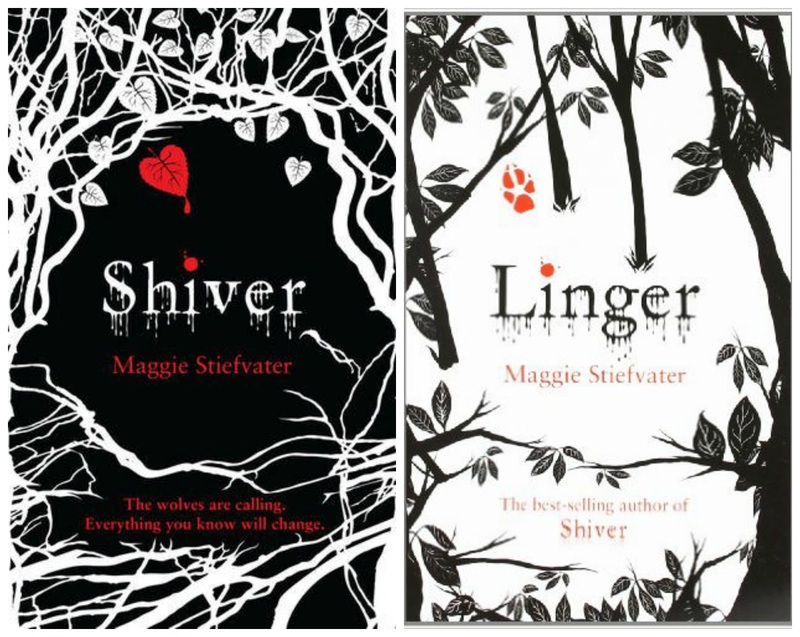 So yeah I don't mention it a lot but I kind of love Maggie Stiefvater? Hahaha it's funny because I mention it all the time. I'm so excited to read Forever! Best Series Ender of 2015? 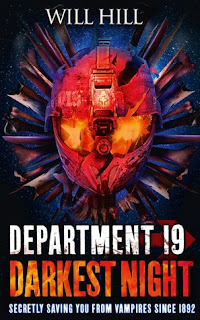 I really love the D19 series -- it doesn't get nearly enough recognition. You should really read it. I'm not generally into vampire novels, and I know the covers are atrocious, but this is really and truly marvellous. And this conclusion was thrilling. I'm so sad it's over. HELLO DONNA TARTT. Admittedly I've only read one of her books, but I have the other two and, uh, will read them very soon. 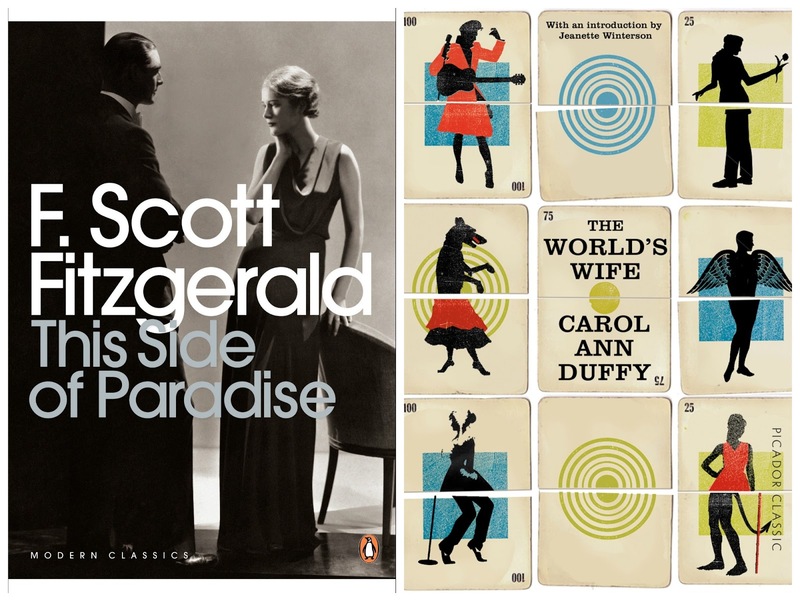 Also F. Scott Fitzgerald. I read Gatsby last summer but didn't get it until I studied it in school, and I'd say it was this year that I had my epiphany, which is that it's an objectively perfect book. I then read this utter gem in the summer, and my love was consecrated. This is historical crime fiction, two genres I don't read that much -- and crime is definitely out of my comfort zone -- but I really really enjoyed this book. 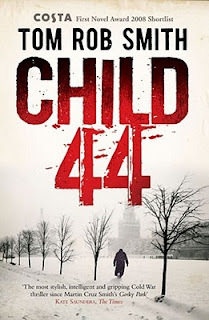 It's a thriller set in Stalinist Russia, following high-up official Leo Demidov and his wife Raisa as they investigate the gruesome murders of children. Leo must confront the crimes, as well as his own demons, his relationship with his wife, and his misgivings about the totalitarian Communist state. It was a really, really good book. I've not read the sequel, The Secret Speech, yet, but I'm excited to! Most action-packed: The Cry of the Icemark. Having just finished Blade of Fire I can confirm that these fantasy novels are full of battle scenes. Just SO GOOD! Most thrilling: D19. Gee I love this series! And then there's The Goldfinch, which picked me up from chapter one and wouldn't let me go. I lived in this book. 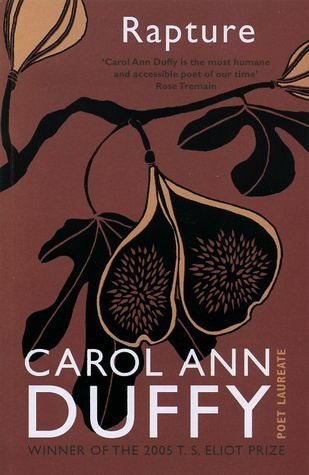 Over the period of time I read it, I thought about it constantly, and was always desperate to get back to it. I lived Theo's life. I still think about it a lot now, three months later. 9. Book you're most likely to re-read next year? JAIME OH JAIME MY ONLY LOVE. Also Cormoran Strike, the detective from The Cuckoo's Calling by JK Rowling -- I loved him a lot -- and Theo Decker, the narrator of The Goldfinch, whom I adore. I can't believe I've not mentioned The Handmaid's Tale yet -- it's one of my top four books of 2015! It describes a dystopian society wherein women are “wombs on legs". The State sanctions “Handmaids" to be used as concubines by rich and powerful men, and only the ruling male elite are allowed to read; for everyone else, the written word has been taken away. The most terrifying thing is what Atwood said about the book: “there's nothing in the book that hasn't already happened." It made me think a lot about reproductive ethics, the different sides of feminism, and the freedoms we have: is it better to have freedom to do whatever you want, and the nasty consequences that come with it, or freedom from those nasty consequences, and no personal choice? We Need New Names tells the story of a girl's move from Zimbabwe to America, in pursuit of the American Dream. It draws stark parallels between poverty and suffering in Africa, and the torpor and rot of American society. It really made me think about different types of misery. I talk about this more in my review, here. It made me think about life and love and art and suffering and ... just read the damn book, OK? The book blogosphere has been shrieking about Anna and the French Kiss and Throne of Glass since their publications, but only in 2015 did I succumb to its pressure. (I'm glad I did.) 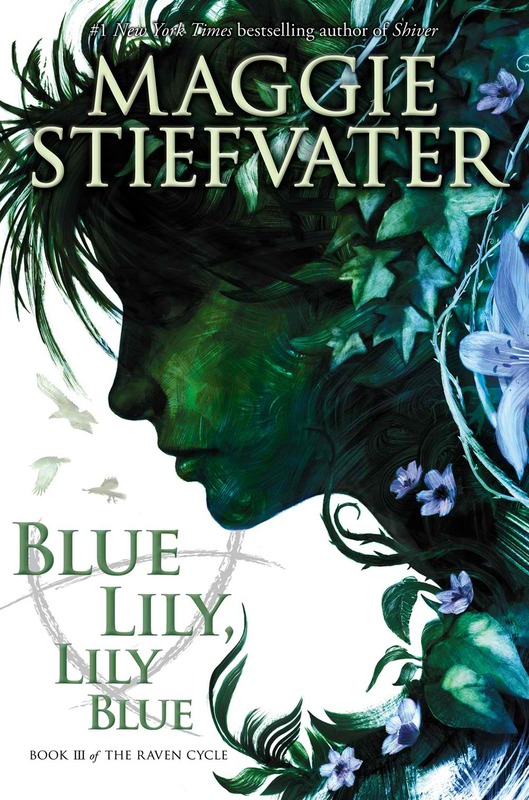 As for Blue Lily, Lily Blue and The Cuckoo's Calling, they are by two of my favourite authors, so why did I not read them instantly on publication? Hard to say. It’s been so perfect – you and I. So like a dream I’d longed for and never thought I’d find. The first real unselfishness I’ve ever felt in my life. Sometimes, unexpectedly, grief pounded over me in waves that left me gasping; and when the waves washed back, I found myself looking out over a brackish wreck which was illumined in a light so lucid, so heartsick and empty, that I could hardly remember that the world had ever been anything but dead. For the deepest, most unshakeable part of myself reason was useless. She was the missing kingdom, the unbruised part of myself I'd lost with my mother. Everything about her was a snowstorm of fascination, from the antique valentines and embroidered Chinese coats she collected to her tiny scented bottles from Neal's Yard Remedies; there had always been something bright and magical about her unknown faraway life. ... She was the golden thread running through everything, a lens that magnified beauty so that the whole world stood transfigured in relation to her, and her alone. “Write! thou wilt never have a better day." Into my life, larger than life, you strolled in. as I open the bedroom door. It's too long to quote, but click here to read my favourite passage from We Need New Names by NoViolet Bulawayo. 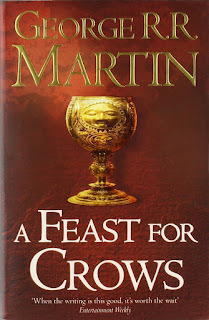 A Feast for Crows shocked me because it took me from my one-time hatred of Jaime Lannister to utter total love. (Not that I ever talk about him ... oh. That's right. I talk about him all the time.) Read more of my thoughts on this process here. And A Dance with Dragons: Dreams and Dusts had some great plot twists! BLUE/GANSEY! I'm putting them in here because it was only in Blue Lily, Lily Blue that I clambered truly aboard this marvellous and beautiful ship. Click here for marvy fanart. THIRRIN/OSKAN! They are from The Cry of the Icemark and I love them ridiculously. I can't find much good fanart for them because no one has read the book. 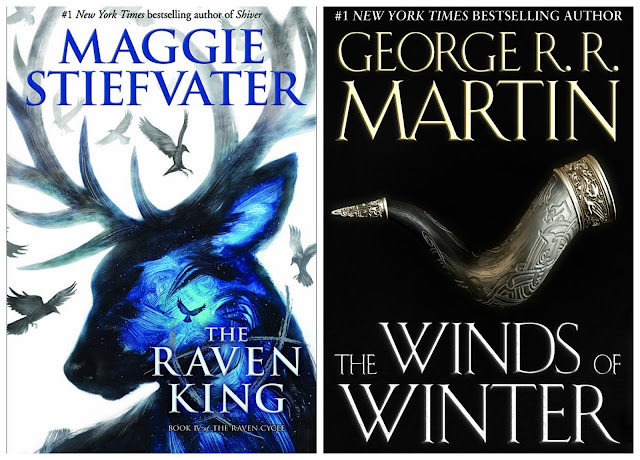 Seriously, if you're a fantasy fan, if you like Game of Thrones, if you enjoy magic or sassy protagonists or humour, GO GO GO! Come to think of it, I don't think I've ever met anyone who's read the books. I MUST FANGIRL WITH SOMEONE! CHAOLAENA! I didn't quite get it in Throne of Glass (at one point I was *hem hem* a Dorian shipper), but in Crown of Midnight OH BROTHER! Click here for wondrous fanart (contains spoilers for Throne of Glass). Robin and Cormoran from The Cuckoo's Calling; they are a brilliant detective duo and I love their relationship. Brienne and Jaime from A Feast for Crows. BEST. FRIENDSHIP. EVER. They start off hating each other; she despises him because a) he's horrible and insulting and b) she's heard what everyone says about his dastardly past. And he's really rude and cruel to her and generally nasty. AND THEN .... !!!! OK, they maybe don't get quite to this point, but a fangirl can dream, can't she? I'm going to take this opportunity to spotlight The Mill on the Floss, because even though it's one of my top ten books of 2015, I've managed to avoid talking about till now! I read it because I'd previously read and loved Adam Bede, also by George Eliot, and I loved it just as much. It combines beautiful rich writing with a mesmerising story, following Maggie Tulliver, her family relationships and her discovery of live. It's ultimately a coming of age novel and I found it very touching. 21. Best book read based SOLELY on a recommendation from somebody else/peer pressure? I'd probably go for Anna and the French Kiss again here, because when I first heard about it I was v disdainful -- the title alone put me off. However, after approx. four years of pressure from the blogosphere I finally capitulated. I, uh, am in love with Jaime Lannister. 24. Best worldbuilding/most vivid setting? This prize always goes to George RR Martin. The world he creates in A Song of Ice and Fire is truly breathtaking. The settings in The Goldfinch -- New York, Las Vegas and Amsterdam -- were also absolutely wonderful. Did I mention that I love The Goldfinch?! I was too disoriented by my surroundings to listen very closely and with almost painfully heightened senses I stirred at the potato mess with my fork and felt the strangeness of the city pressing in all around, smells of tobacco and malt and nutmeg, cafe walls the melancholy brown of an old leatherbound book and then beyond, dark passages and brackish water lapping, low skies and old buildings all leaning against each other with a moody, poetic, edge-of-destruction feel, the cobblestoned loneliness of a city that felt -- to me, anyway -- like a place where you might come to let the water close over your head. Anna and the French Kiss was a lovely feel-good read. It was adorable and made me fangirl a lot. By some sad mockery of the universe, I've only managed to read one Georgia Nicolson this year -- what happened?! -- but these book always put a smile on my face because they are HILARIOUS. In fact, they convulse me! 26. 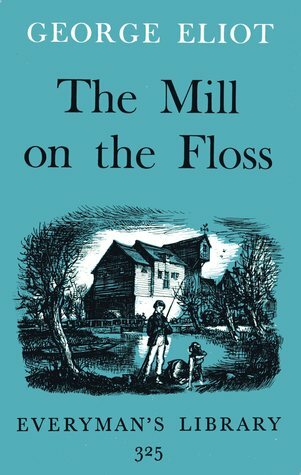 Book that made you cry or nearly cry? I didn't. I'm made of stone. 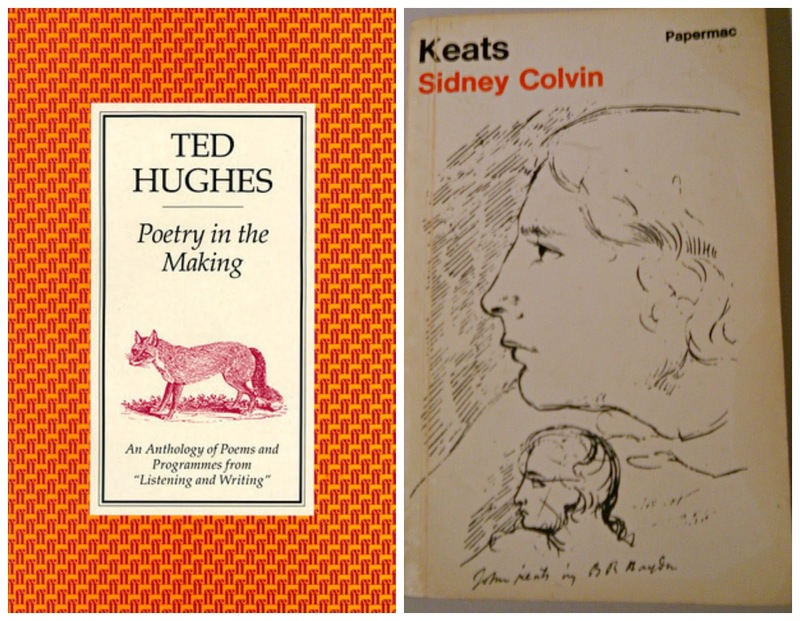 Ted Hughes is my favourite poet, and Poetry in the Making was a really marvellous book about how to write and think and observe. I loved it. KEATS! KEATS! KEATS! I read the complete works of Keats this year. He is a babe and a half. 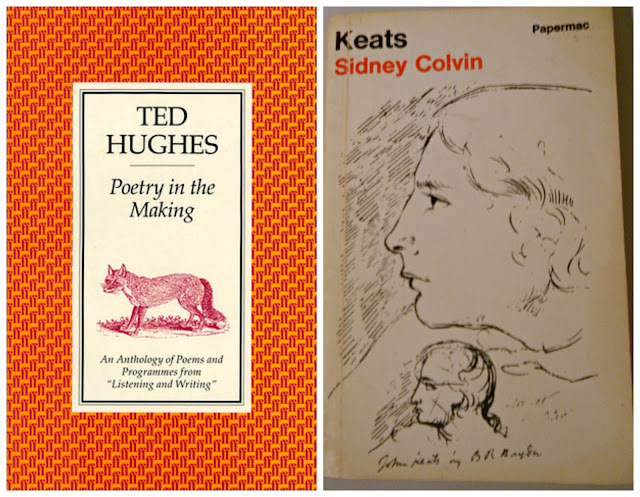 This biography and literary study by Sidney Colvin was a quietly brilliant book; very interesting in terms of understanding the poetry, but also a touching and tender insight into the tragic and beautiful twenty-five years of John Keats' life. 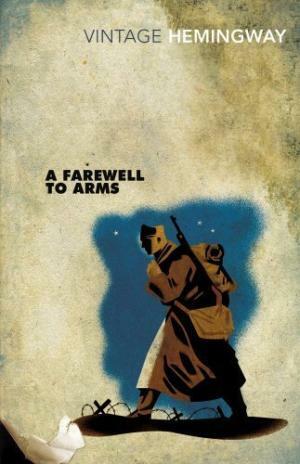 A Farewell to Arms, a stunning tale of love in WW1, is one of my top three books of 2015, so I can't believe I've not mentioned it yet! It is beautiful but the portrayal of war is devastating so ... yeah. Review here. Also The Handmaid's Tale and We Need New Names (see question #13). This Side of Paradise was really unlike anything I've ever read. It combines vignettes of prose with poems and drama script to create a style that perfectly mimics its story: of Amory Blaine, a young man growing up and learning about life and love. It follows Amory from his childhood to his time at Princeton University, and it's probably my favourite coming of age book ever. (And I love coming of age books.) One of my 2015 top three. 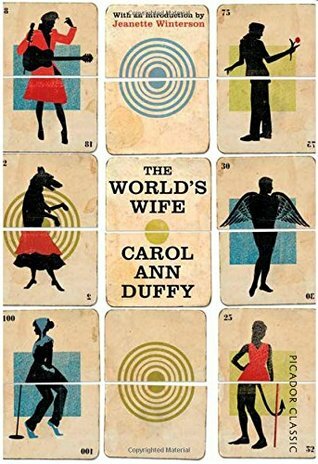 The World's Wife is a poetry collection that takes famous men and imagines the women behind them. Sometimes tragic, sometimes hilarious, always fresh and insightful. 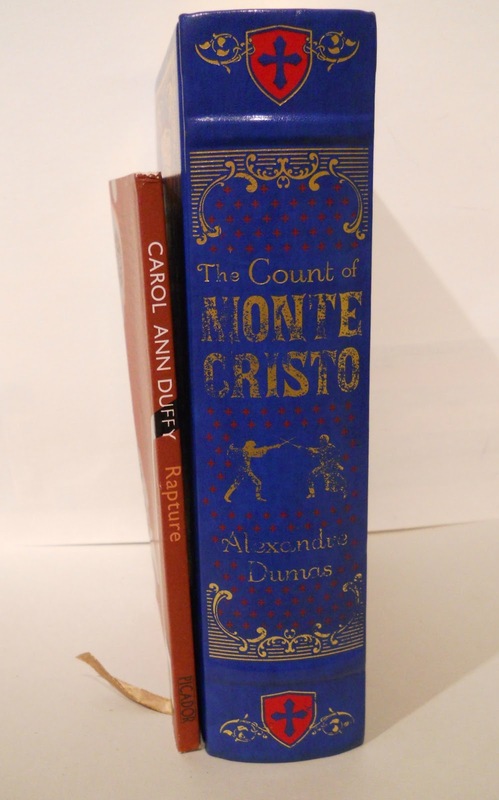 Maybe I'm being a little unfair by calling The Count of Monte Cristo misogynistic; it's pretty harmless, really, but it's got these agonisingly one-dimensional female characters, whom the males of the novel just worship. I don't have a problem with beautiful women characters. I don't have a problem with virtuous women characters. I don't have a problem with kind-hearted women characters. But here's a thought: not all women are beautiful AND virtuous AND kind-hearted! According to this book, though, all young women of merit are like this. I've enjoyed jumping on the bandwagon of The Broke and the Bookish's Top Ten Tuesday meme this year, but in terms of memes my highlight has definitely been setting up the monthly writing link-up Starting Sparks! My co-host Ashley and I post a prompt each month to get writers thinking. If you want to know more, click here! This would also come into question 4. I met, chatted to, and had a signing from Carol Ann Duffy!!! Honestly, the only answer I can think of is that, since this is the year I've started trying to take proper book photography, I've found my lack of camera skills very challenging. Exposure! How does one fix it?!??! But really, this is a pretty minor problem, so now's the time I'd like to thank you guys for making 2015 awesome. You really are the best bunch of bookish gals, and I always feel so welcomed, supported and appreciated in the book blogging community! Here's to you guys! I spend 98% of the time posting Sherlock gifs, and still you put up with me! 7. Most popular post this year (whether it be by comments or views)? You guys have also enjoyed my new award format, wherein I bombard you with pretty pictures from Pinterest and some facts: One Lovely Blog Award (August) // Versatile Blog Award (October) // these posts are also great fun to write! 1. 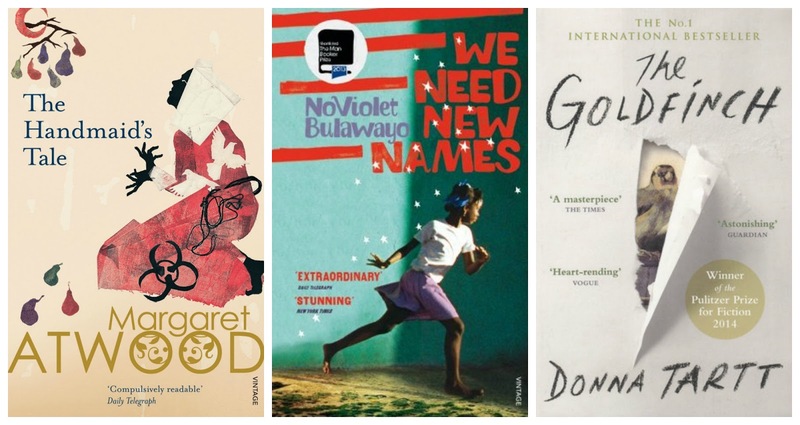 One book you didn't get to in 2015 but will be your #1 2016 priority? HOW HAVE I NOT READ THESE YET? HOW?!?!?! 2. Book you are most anticipating for 2016? ^ My mindset concerning both of these books. And I've not even read the second part of A Dance with Dragons yet! 3. One thing you hope to accomplish or do in your reading/blogging life in 2016? In terms of reading, I must finish some of the legion series I've got on the go. In terms of book numbers, I've set my Goodreads challenge to 52. A book per week is pretty steep for me, but I'm hopeful! As for blogging, obviously I want to increase my follower count, but also to improve my bookish photography; to get better at keeping up with reading you guys' blogs; and to keep producing content that makes me proud. I am proud of what I've blogged in 2015; may 2016 be even better! Hmm, so I take it you thought The Goldfinch was an alright read? I guess that means I'll have to give it a go sometime then :) Love your pie chart! I am planning to look at some bookish stats via pie charts too - I'm very impressed with how diverse your reading genres for the year was! Great post. This survey takes so much time to do every year, I feel we should all be awarded a medal for completing it. I haven't read The Goldfinch yet, although I have heard nothing but amazing things. I enjoyed Throne of Glass too, but definitely felt like Crown of Midnight was sooo much better and got me obsessed with the series. I was a total Chaolaena shipper too. Oooooooh, I definitely suggest getting to We Were Liars asap! Great answers! I hope you have a great reading year in 2016! :) Here's my survey if you want to check it out. The Goldfinch is INSANELY GOOD (did I already say that?). I'm so excited to pursue the ToG series! And We Were Liars! SO PUMPED! 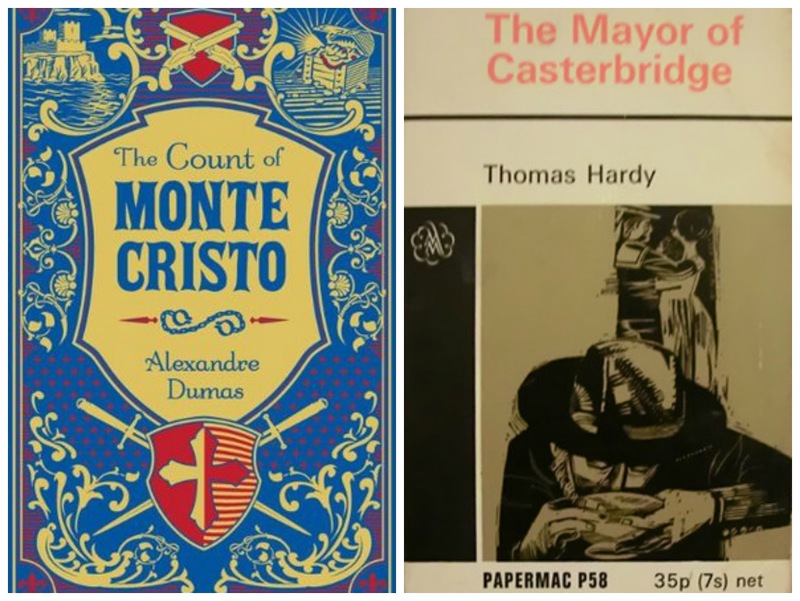 I've not read the Count of Monte Cristo and nor the Mayor of Casterbridge (although I heard an audio of the first chapter for some class, and was glad I didn't have to hear the whole book). But I know lot of classics, espcially those written by men (*cough*), tend to have one dimensional women that the males idolize in the book. And they *might* have a completely manipulative, conniving female who makes a nuisance of herself. It really annoys me every time. It's like the authors are trying to say "Here, women, this what you all ought to be like. And here's what you shouldn't be like." It's like some lesson for the female readers out there. It drives me crazy. Sorry. Had to rant there. I do want to read the Goldenfinch. And Hemingway. Hemingway sounds good. They are both worthwhile books, I guess, but ughadsigkadsg;kj;alsdg;alghhhh YES you describe it really well! They do both have those manipulative female characters. It's infuriating. I still haven't read Raven Boys, but gosh, I need to. Actually the only Stiefvater book I've read is The Scorpio Races but that was amazing! Cinder is a favorite of mine. I hope you enjoy it! Oh my gosh, it's such a good series! I LOVE it! !!!! //// !!!!! I'm sure I will; everyone loves it so much! SAME! That was my exact experience. And TSOP is soooo good, I'm writing my dissertation on it! I love Amory <3 And gosh it's so beautiful. 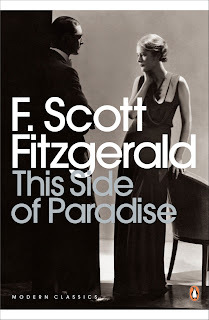 It doesn't have the polished consistent perfection of Gatsby, but dang, what a book. I have a short story collection but I've not read it yet! Can you believe I've read exactly zero books from this post? D: Terrible! That Sarah J. Maas series is tempting me, though; as is the Raven Cycle. I hear so much about both in the blogosphere that I figure there MUST be a reason. Aww, my blog was one of your favorite 2015 discoveries? I'm so honored! <3 Thank you! I'd say the same about your blog too (and I'm not just offering a return compliment--I really do mean it). 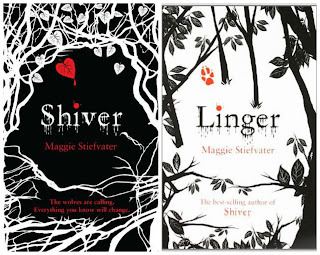 Pretty pie chart :) I really liked the Shiver series. I love that you took a picture of your longest and shortest book together! Cute! Haha I love your made of stone comment. I don’t cry much either. I've also been hearing tons of good things about The Goldfinch. My cousin had a copy of it in his bathroom over Christmas (TMI?) and he was raving about it. Definitely on my 2016 to-read list! I love seeing wrap-up posts! Happy 2016!